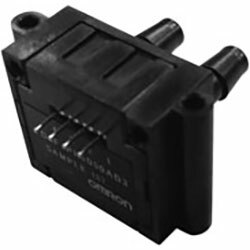 Available through TTI Europe is Omron’s D6F-PH Differential Pressure Sensor. The product is a type of MEMS chip with I2C digital output. Using the company’s proprietary MEMS mass flow technology, the sensor has a redesigned internal flow path that creates low flow, high velocity/high impedance for a differential pressure output. Due to the sensor not being sensitive to variations in bypass tube length, it is perfect for HVAC applications which require field-installed damper controls. The sensor is linearised and temperature compensated and gains from superior resistance to harsh environments. Fully RoHS compliant, the device has been created for applications such as computer servers, clogging detection, projectors, fuel cells, combustion control, water heaters, boilers, ducts, as well as air conditioners.